The finance department here at Roseville CJDR is ready to help you get approved, today, for a car loan or leasing option that works for your lifestyle. We have a variety of different options to choose from. See how our easy credit approval program works to help you get the financing you need on your next vehicle from our Roseville, MN car dealership. No matter if you’re interested in a new 2018 RAM 1500 or a used Jeep for sale, our Minneapolis area dealership has strong relationships with various auto finance institutions to suit your car finance needs. Low-interest car loans are also available for customers with existing loans. To get a jump start on the financing process, apply for financing or contact us to get in touch with one of our auto financing representatives. 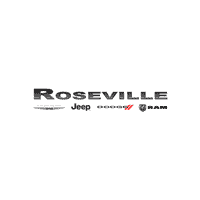 If you have questions about financing a new Dodge, the loan process, or anything else please call Roseville CJDR at ​(651) 728-7026 or stop by our St. Paul, MN area dealership today!